Cost: General public $45. 20% Gardens¿ member discount. Family rate: $45 per adult/child; additional children $15 each. Join us for a moment of respite in the Duke Gardens teahouse, where you will experience the warmth of a traditional Japanese tea gathering. Enjoy the aesthetics, poetry and serenity of this rich tradition over an enticing bowl of whisked green tea and a Japanese confection. Guests will meet at the Doris Duke Center to be escorted on a 10-minute walk to the teahouse. Daytime teas are open for children age 6 and older, with an accompanying adult, at the family rate. 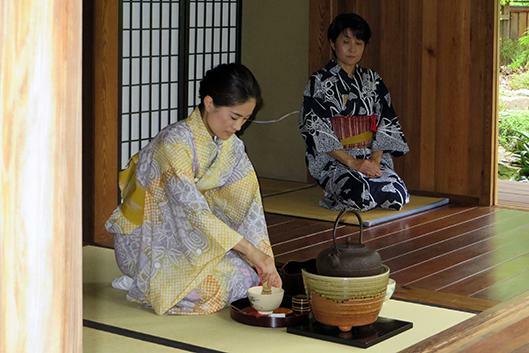 There are two seating options for this day's tea: 10:45 a.m. and 1 p.m.